megapixels are boring. let’s talk gigapixels. « pixels …everywhere. I’ve written several times before how our industry –and society at large, for that matter — needs to start planning for when gigapixel displays become commonplace. I’m convinced that’s going to happen much sooner than most people think. So I was very enthusiastic when Adrian Cotterill, editor-in-chief of the DailyDOOH, asked me if I’d speak about gigapixels at the Thought Leadership Summit: Videowalls Unplugged conference. 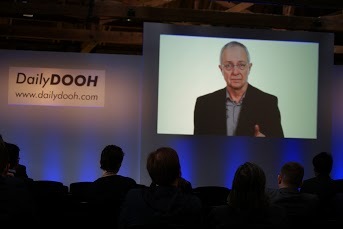 The DailyDOOH organized that event last week at the #NECshowcase in London. Here’s what I had to say. Many thanks to The Daily DOOH for letting me use it here. All the opinions in it are mine alone. Comments and suggestions are most welcome. imagine a gigapixel « pixels …everywhere.